2. How much of the budget goes for the Honeymoon? This is solely up to you and your fiance. Once you determine how much your wedding and reception will cost, you can figure out how much money you'll have leftover to fund your honeymoon. If you need to scale back on your travel budget, that's okay! Ultimately, the honeymoon isn't about traveling to the most exotic destination imaginable; the goal is to spend quality time together as a newly married couple. 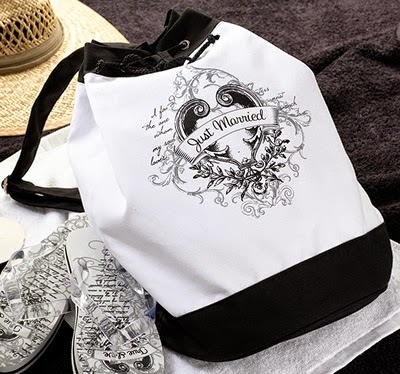 Check out this adorable "Just Married" beach bag! 3. How do we agree on a destination? Talk about it together! Do you prefer hot or cold climates? Would you rather be in a structured environment or left to your own devices? Have a fun brainstorming session where you both discuss your dream honeymoons, and then work to find a compromise between the two. Discussing your hopes and expectations together will help you plan a trip neither of you will ever forget. 4. When do I depart? weddings were traditionally held in the mornings, and the couple would typically depart for their honeymoons that evening. As evening weddings become more popular, though many couples are choosing to wait to leave until a day or two after the wedding. You can help make this decision by taking into account how many out of town relatives you have in attendance and how often you see them. If there are distant relatives in town, you may choose to spend some more time with everyone before you head out. If you're going out of the country, you will definitely need your passport and potentially a travel visa. Check these documents well in advance to make sure they're current! Updating a passport last-minute often incurs hefty fees. Keep in mind that your travel documents must match your legal documents, so waiting to change your name until after the honeymoon will definitely simplify matters! 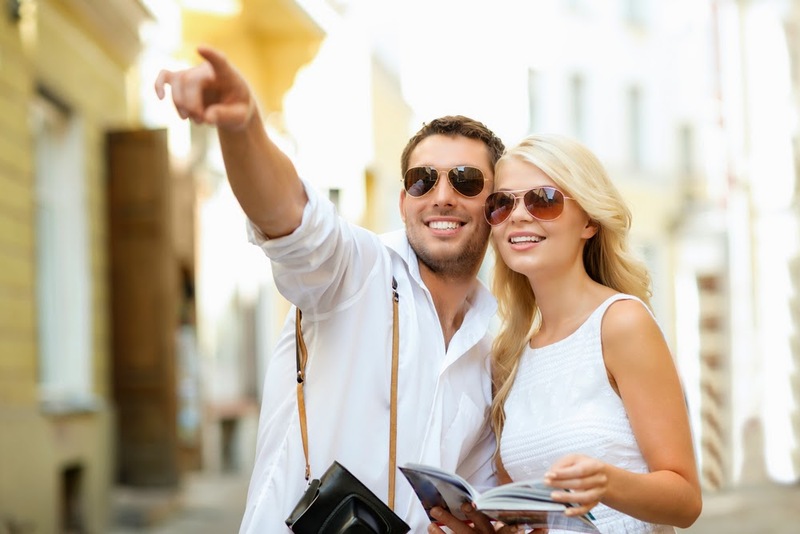 Don't get so caught up in planning the honeymoon that you forget what this trip is all about! Leave each other sweet notes, buy the spontaneous bouquet of flowers on the street, share an ice cream cone... Simply enjoy the being together! You'll only go on your honeymoon once, so be sure to make the most of it. What are your honeymoon travel plans? We'd love to hear what you have in mind!